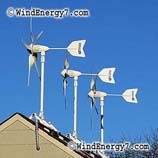 Home Wind Generator, Home Wind Generator Kit products Only Available From WindEnergy7.com. The home wind power systems featured on this video are exclusive technology, WindEnergy7 has invented many of the best features in these Home Wind Generator systems making home wind generators work. There’s a reason why these systems are so successful and effective, it’s mainly the ideas and innovations developed by WindEnergy7. 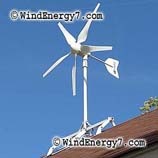 This is our Residential Wind Turbine Kit from WindEnergy7.com. The system you see here is a 4.2kW rooftop wind turbine system. WindEnergy7 patented their invention of the rooftop wind turbine kit which solves the problems of noise and vibration to the home. Our smooth, quiet system can run your meter backwards and generate enough electricity to power and average american home.Many customers have found it easy to become customer/dealers with our wind turbine training. RoofMill™ Only Available at WindEnergy7-Com – GE Ecomagination Commercial, for RoofMill™, if we win the GE Ecomagination commercial challenge for a contest to find the best home energy inventions out there. Become the local home wind turbine dealer in your local community. WindEnergy7 has a dealer and installer network in more than 30 states all across the US. WindEnergy7, an Ohio based manufacturer and inventor of wind and solar home energy products has put their hat into the ring. My hope is that this becomes the.. GE RoofMill™ or similar and is picked up or sponsored by a company who can help me go to the next level. 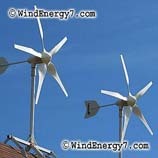 WindEnergy7 Reviews. I have developed the best home energy system there is and would like to bring the cost down by higher volume. Think about it.. GE RoofMill™, pretty cool. Or really any other large company who has appliances or home improvement products. Maybe… Whirlpool RoofMill™, Kenmore RoofMill™, MayTag RoofMill™, Square-D RoofMill™, Amana RoofMill™, Lowe’s RoofMill™, Sears RoofMill™, Home Depot RoofMill™. – – – Can you name a better new product for Home Energy and there is No Equal Product, I invented the RoofMill™. Best thing to me is that I am taking it to market all by myself and the idea and product is so good, so right, that I am exporting worldwide already and installed all over the US. Most fun I have ever had in my life! I have about 4 years of hard work in this system and the success of it is more exciting every day. Last year I won a Green Design Contest on Eath Day. A major electronics supplier awarded the prize to the RoofMill™ and it was a great thrill. When I started developing this a few years ago, I must say, people thought I was crazy. This was before Obama’s election, before T Boone’s commercials, home wind power was not on anyone’s radar. At one point I sold my car for more seed money to realize my project. That was about four years ago. It definitely is better than any other small wind turbine or home solar system out there and there’s nothing really comparable. Yes I am biased but have spent about 20 hours a day for about 4 years now making sure I have the best small wind turbine kit. People who really look at all the options and systems out there can see it like you and I can. Myself, a few years ago when I decided I wanted to power my house with wind, all that was out there was towers. Towers are cool, but my home was on a 60 foot residential suburban lot. NO WAY a tower was going in there, not an option. – – – Isn’t that true of probably 80% of America’s homes and businesses? So, it had to be on the roof and I was amazed that no-one had done that and succeeded at it. As I looked at all the failed methods tried I saw nothing like what I already had in my head. I realized that every method tried were bad ideas. My Grandfather and Uncle were contractors and my Dad a rancher. I grew up building things and already knew what a good design would start like. Nothing others tried was good design so far, just bad ideas sure to fail were out there. Noise and vibration plague every other previous design. The invention was born. The great name and marketing thoughts came much later and thus the RoofMill™ trademark. Of course that played into the TowerMill™ trademark which both were painfully obvious like any good brand name. Anyway, it is so encouraging and reinforcing when folks like you see it too, and tell me it looks good to them too. I love my invention and I especially love to train people to install it and see it working on their homes. I have powered several things like weekend cabins off-grid and they had no power except the RoofMill™. I have had new homes put in my system rather than run utility power to their property. WOW. What fun to go from an idea to fruition like that in a few years. – – – – Unlike many ideas on here I already have a patent pending, I have solid manufacturing in place, I have smart branding, strong internet presence, international exports FROM AMERICA, installations and wind turbine dealers coast to coast. This is a great idea but it’s also a ready and successful product. WindEnergy7 is a company that is instantly scaleable and is currently profitable and in the black ink. It has one decision maker and I own it 100%.